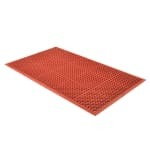 The Notrax T14U0035RD Tek-Tough Jr.® floor mat prevents dangerous work environments that can cause staff to fall. 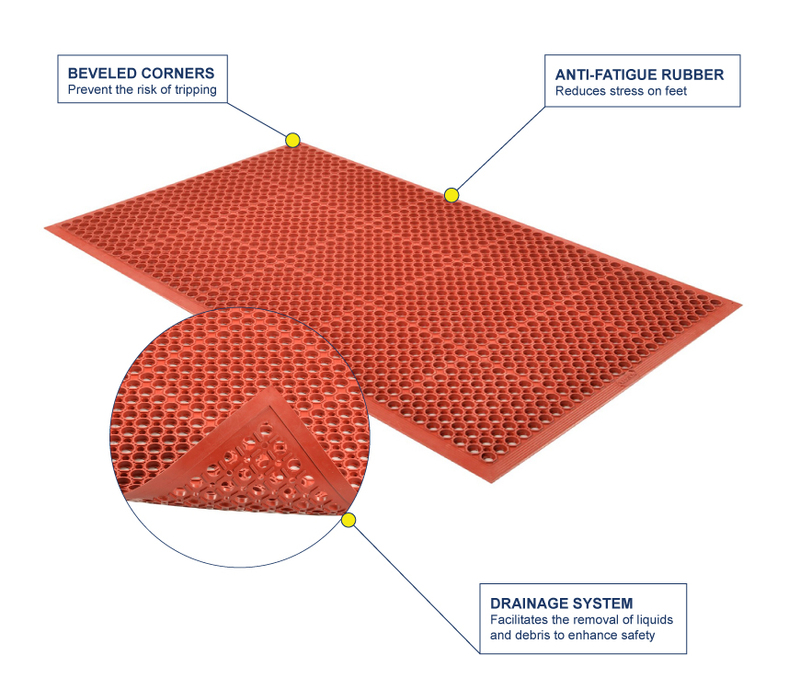 Water and food debris drain through its porous material, facilitating cleanup. Its soft rubber construction is lightweight and helps reduce foot fatigue while its beveled edges keep staff from tripping over it.